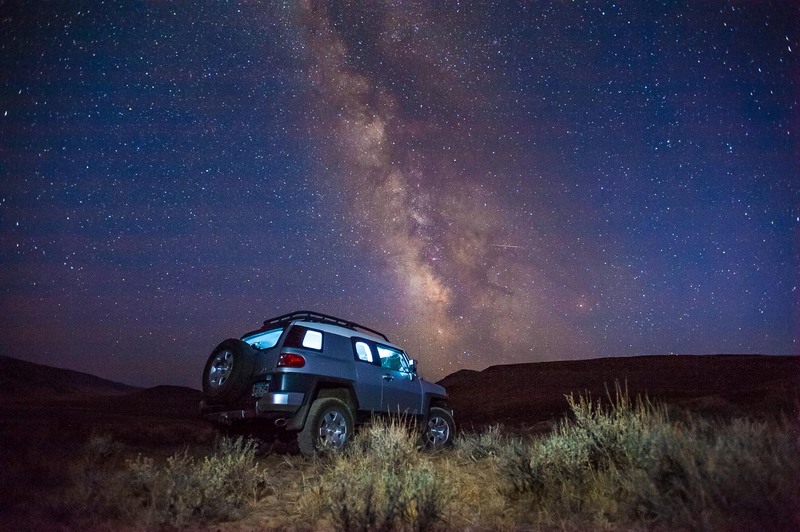 Image of Milky Way Galaxy and FJ Cruiser in desert. Image of Milky Way Galaxy and FJ Cruiser in desert. Alvord Desert, Oregon.